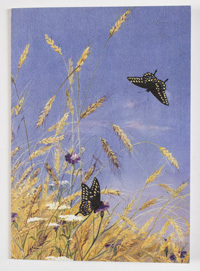 Six blank cards featuring the following select images from AAS collections. If you are shipping these cards to a Massachusetts address, please add to cart using the link below. Massachusetts sales tax will be included. 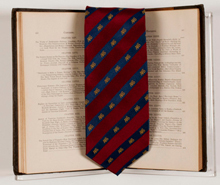 The Society’s book collection contains everything from simple bound paper pamphlets to elaborately inlaid albums. 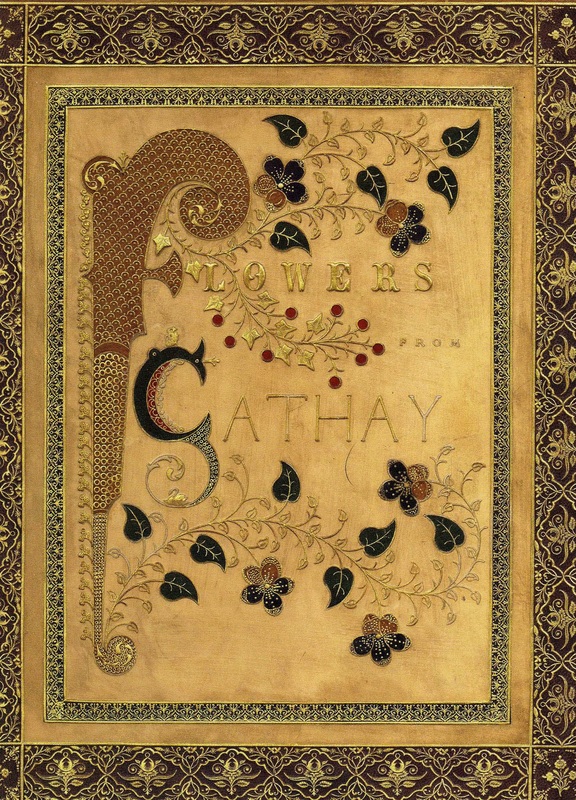 This volume from the Bindings Collection, Flowers of Cathay, was part of the collection of Michael Papantonio. 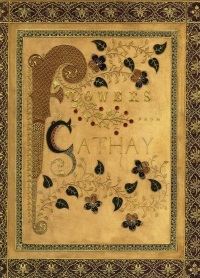 Bound by Pawson and Nicholson in Philadelphia on March 25, 1864, this example was bound in white calf inlaid with colored morocco, and has gilt board edges and turn-ins with printed gold endpapers. Six blank cards measuring 5" x 7"
The American artist Fidelia Bridges created works for Louis Prang & Co. of Boston for over fifteen years. 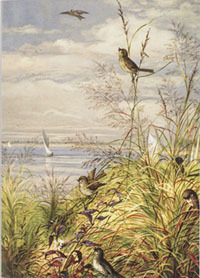 This image, entitled July, is part of a series of twelve designs featuring New England's flora and fauna created by Bridges in 1876. 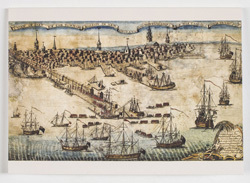 This engraving by the American silversmith Paul Revere depicts the landing of British troops on Long Wharf in Boston in 1768. Revere advertised the print for sale in the April 16, 1770 Boston Gazette. The American Antiquarian Society holds a nearly complete collection of prints made by Revere. 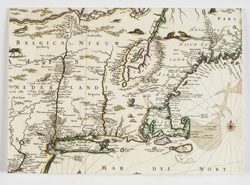 This 1655 view of New England, New York, and parts of New Jersey, Pennsylvania, and Virginia by Nicolaes Visscher was made in Amsterdam. Paul Revere (1735-1818) was an American silversmith, copperplate engraver, foundry owner, patriot, and political cartoonist. The Society holds a nearly complete collections of his prints. 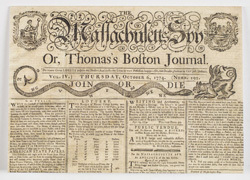 Included are several masthead designs created for printer and fellow patriot Isaiah Thomas (1749-1831), such as this one for the Massachusetts Spy. The American artist Fidelia Bridges created works for Louis Prang & Co. of Boston for over fifteen years. 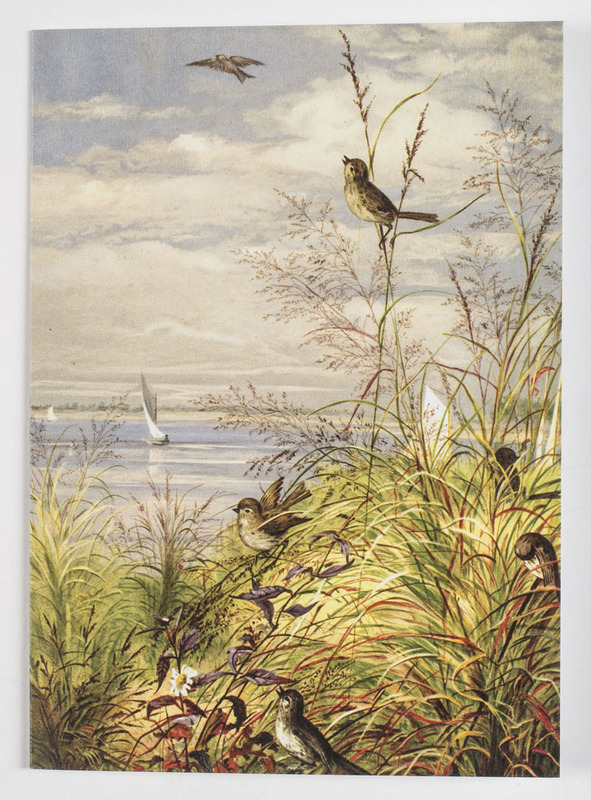 This image, entitled September, is part of a series of twelve designs featuring New England's flora and fauna created by Bridges in 1876. A tie for the third century. Newly designed with diagonal navy and red stripes. 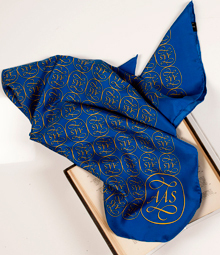 Vibrant blue silk scarf with AAS motif. 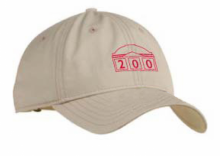 Protect your own generous dome with one of AAS's bicentennial baseball caps. Produced in a limited edition of--you guessed it--200. High quality cotton twill New Era baseball caps, adjustable with a fabric band/buckle. Red stitching. Back of cap reads "AAS--Founded 1812." 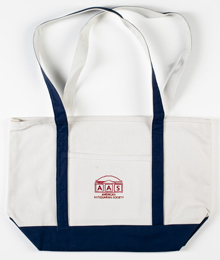 White canvas tote bag with navy blue straps and reinforced bottom. Red stitching of AAS logo and "American Antiquarian Society" on front pocket. If you are shipping this tote bag to a Massachusetts address, please add to cart using the link below. Massachusetts sales tax will be included.